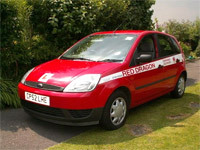 The Red Dragon Driving School in Cardiff and Newport is the most established driving school in South Wales providing driving lessons for cars and commercial vehicles. With 40 years’ experience, you can rely on Red Dragon for all your driver training requirements, from articulated lorries to private cars. Please view our full range of products and services below and if you have any questions then don’t hesitate to contact us on 029 2039 4387. Join the thousands of satisfied clients on the road to success with Red Dragon Driving School. We pride ourselves on the high level of service we provide at the Red Dragon Driving School. It’s our aim for every single person to pass. If you have any questions about our various driving lessons, get in touch today. We’ll be happy to help. If you’re in South Wales and you would like to book your driving lessons in Cardiff or Newport with Red Dragon Driving School, call our main office on 029 2039 4387. We look forward to hearing from you.